For some reason, unknown to me, my hubby does not like medical shows. Medical dramas he will watch, but if I have on a show that is a doctor talking about anything he won’t watch it. So needless to say, I don’t watch those types of shows. I don’t know when they are on, but every once in a while I will turn on the TV when he is not home and there is one on. Like recently when I watched the Dr. Oz show when he was talking about foods that starved cancer. I just think all that stuff is interesting. I love to hear what they learn about the body. It is fascinating. Well, today I sat down for a moment and turned on the TV and Dr. Oz was on. I really should find out when it is on and just make a point to watch it when my hubby is not home because I always learn something when I watch his show. I only saw a few minutes but it was really interesting. He was saying that it is important to change your home’s filter, ya know for central heating, every three months. I know we don’t do it that often, but after what he said I think it might be something to consider. I have always known that it helps trap dust and pollen and things floating around in the air that might help to aggravate allergies. But I never really thought about insect parts. Ewwwwww. He said that insects and their parts are a very common allergen. YUCK. Not something I really want to dwell on, but one of those things that I like to know, deal with, then forget about, ya know? Also he has said that certain foods; onions, apples, and citrus contain Quercetin. Quercetin acts as an antihistamine. Which is something that most allergy sufferers take in pill form. It is awesome to me to be able to get some anti itch help from the food I eat! The information I am seeing as I look around also states that Quercetin is also considered an anti-flammatory agent . . . and a lot of allergy symptoms are from inflammation so something that acts as an anti-flammatory is amazing to me. I am very happy to have come across this information. I don’t always EAT white or yellow onions, but I do put them in food for flavor. I am starting to eat the red onions they tend to be less sharp. I do eat apples, but I don’t believe I eat them as often as I should, so I will step up my apple consumption. Although I like oranges, I don’t eat them that often because it is difficult to find good flavorful ones in the store, but I will work on that too. If these foods will help quell my allergy symptoms . . . . I am there! Have you heard of Quercetin before? Do you eat onions? What about apples and oranges? Do you have hay fever/allergies? Cancer is in all of us. Could be why we all know someone affected by it. We all have it in us. Experts call it “cancer without disease”. There are microscopic occurrences of cancer in all of us. Our bodies fight it off, kill it, or just don’t allow it to grow, but it is there. I watched Dr. Oz and learned some things I want to share. There is a process in our bodies called angiogenesis, this is a awesome and necessary process, it is when new blood vessels are formed. 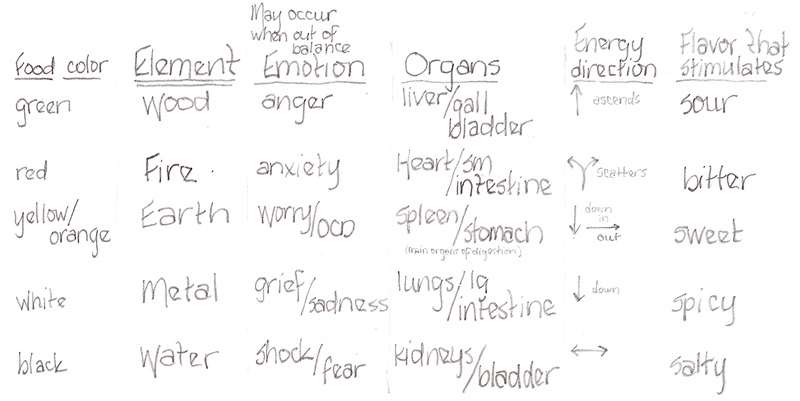 This is something that occurs when a wound is healing. It also occurs as a catalyst for cancer. When those cancer cells release chemicals causing new blood vessels to form that feed those cancerous cells or tumors that is when cancer becomes a problem. There are ideas about fighting cancer before it becomes a problem. Love that idea. Let’s prevent and not have to deal with the result of the disease once the cells are out of control. What the talk is about is “starving” the cancer – ANTI angiogenesis. It is thought that there are foods that will assist with that. Dr. Li said it has brassinin which is believed to help fight cancer. His advice was to eat 1/2 Cup three times a week. Tomatoes have lycopene, but cooking them increases the availability by two times. So COOKED tomatoes are what they recommend for preventing prostate cancer. The recommendation is for a 1/2 cup serving 2 to 3 times a week. This is an omega three rich food and they say a 6 oz serving 3 times a week. They indicated on the show that strawberries are believed to be an anti-angiogenesis food in addition to them being high in antioxidants and they said its the seeds. They compared it to milk thistle and said the artichoke is a flower, the show also recommended a “per day” intake of the artichoke, he said 1/2 cup per day. Some of these suggestions I’ve heard of, some of them are new to me. I’ve also heard before that cancer is in all of us, but I hadn’t heard about angiogenesis and therefore I hadn’t heard of ANTI-angiogenesis. It found it interesting. I wanted to share. I think I’ll try some Bok Choy next week and make certain that I get tomatoes on our plates. I’ll hold off on the fish. What about you? Do you eat these foods? Might you start? 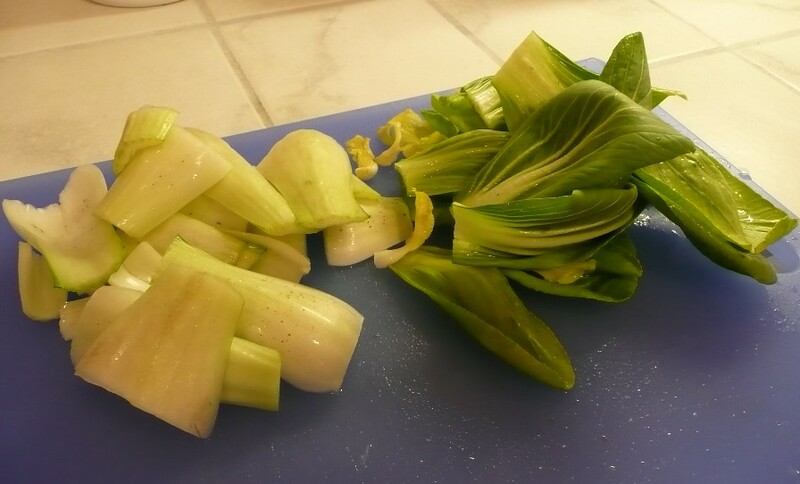 How do you cook Bok Choy?